A tranquil slice of country paradise! Certified organic land nestled amongst acres of income producing pine trees. This maintenance-free, modern farmhouse situated on a paved road, boasts over 2100 sq. foot of living space--includes a 400 square ft. bonus room ready to be finished. 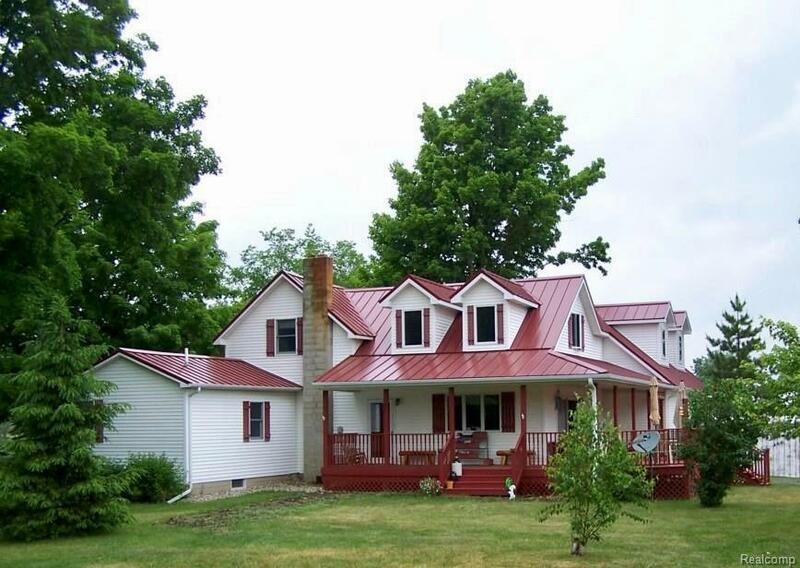 Metal roof, new furnace and water heater in 2017, beautifully updated kitchen, first floor master bedroom, heated workshop, well maintained historic dairy barn, chicken coop, pond and creek. Complete with a wrap around porch for your family to enjoy the breathtaking views, ample wildlife and peacefulness only country life such as this provides! Additional 65 acres available for a total purchase price of $448,000 or add on any acreage amount you wish with your offer/splits available. All farm equipment is for sale and negotiable. SCHOOL OF CHOICE. North Branch School bus-stop is right up the road.